Home / Employment Law / Ontario Court of Appeal Confirms that False Allegations of Cause can be Costly! Ontario’s Court of Appeal has upheld the trial court decision in Ruston v Keddco, [Ruston] which we initially blogged about here, sending a strong message to employers who make allegations of cause when dismissing their employees. Ruston involved an employee at an oil and petrochemical company who was dismissed by his employer and received a large compensatory award in a wrongful dismissal suit. At the time of his dismissal, the CEO of the company informed him his employment was being terminated because he had defrauded the company in order to ensure he received a bonus to which he was not entitled in the preceding years. When the employee sought an explanation of the allegations against him, the CEO’s response was merely “I think you know”. The employee’s employment was terminated without notice or pay in lieu thereof. Following the termination of his employment, the employee informed the CEO that he intended to sue the employer and the employer responded by informing him that if he sued, it would commence a counterclaim against him, which would be a “very expensive process”. After the Plaintiff brought a wrongful dismissal action against the employer, the employer followed through with its threat and brought a counterclaim against the employee for $1.7 million alleging that he had defrauded the company, unjustly enriched himself at the company’s expense and violated his fiduciary duty to the company as a member of senior management. At trial, the judge found for the employee and ordered the employer to pay him the equivalent of 19 months’ wages in lieu of reasonable notice, as well as $25,000 in aggravated damages and $100,000 in punitive damages. The employer appealed the trial court’s decision and its appeal was rejected on all grounds. awarding punitive damages to the employee. he was not provided with a letter of reference. The Court found that all of the above factors made it more difficult for the employee to find suitable alternative employment after his dismissal justifying a higher reasonable notice award. With respect to the bonus payment, the Court of Appeal found that the evidence showed that the employee had been provided with a bonus in each of the preceding years and that the bonus had formed a significant part of the employee’s compensation. At trial, the employer had argued that employees who were not employed by the company when bonuses were awarded were disentitled to a bonus payment but the trial judge found that there was insufficient evidence of the employer’s past bonus practices to substantiate such a claim. The Court of Appeal agreed with the trial judge’s analysis and found no reason to interfere with her findings of fact on the matter of the bonus. The Court of Appeal upheld the aggravated damages award on the basis that the employer had violated its duty of good faith and fair dealing in the manner of the employee’s dismissal. The Court focused on the employer’s threat to countersue the employee which it found lacked merit and was calculated to intimidate the employee. The Court agreed with the trial judge in finding that the employer’s conduct had put the employee under a great deal of stress and did not accept the employer’s argument that the employee had only suffered the normal stresses associated with losing one’s job. In doing so, the Court noted that aggravated damages are compensatory in character and that these damages were meant to compensate the employee for what he was forced to endure as a result of the employer’s conduct. The Court of Appeal also upheld the trial judge’s punitive damages award, finding that it was not, as the employer had argued, excessive in the circumstances. The Court found that the employer’s conduct was clearly the sort which deserved denunciation and accordingly that the $100,000 penalty was justified. The Court also rejected the argument that the employee experienced a “double recovery” as a result of receiving punitive and aggravated damages in relation to the same incident. Specifically, the employer argued that the awards of punitive damages and aggravated damages had both arisen out of the employer’s threat to counter-sue and that the trial judge’s decision to award both constituted double recovery to the benefit of the employee. In response, the Court of Appeal clarified the distinction between punitive and aggravated damages: punitive damages are meant to penalize misconduct and discourage future instances of misconduct while aggravated damages are meant to compensate the innocent party for the consequences of the offending party’s malfeasance. Accordingly, the Court saw no issue in the fact that the employee received two heads of damage in relation to the same incident. The employer lost its appeal on all the grounds sought and was also unsuccessful in reversing an award of costs made against it for the costs of the trial, which totalled nearly $550,000. The employer was also ordered to pay the employee an additional $35,000 in costs for the appeal. In total, the employee’s dismissal cost the company over $1,000,000 and these are just the publicly disclosed figures. The costs to the employer were likely even higher when lost hours of work and reputational damage are factored in. The employer could have avoided most of these costs by providing the employee with an amount in lieu of reasonable notice and stating that his dismissal was without cause. It is certainly open to employers to dismiss employees for cause where the employee’s misconduct has risen to the point where it is clear and unequivocal that it amounts to cause. However, employers should be cautious about proceeding down this path. 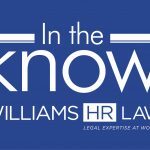 It is quite rare for an employee to engage in the sort of misconduct that a court will find to amount to just cause and accordingly employers should always think twice and get legal advice before asserting that an employee’s dismissal is for cause.